Miss O Kissed graduated with a BA Hons in Fine Arts from one of the UK's oldest dedicated art schools, before moving to the US and beginning her journey as women's wear designer in 2002. Since then she has created costumes and looks for published pin ups, performers, and photographers across the states, and across the pond. Everything from retro threads to period dress. 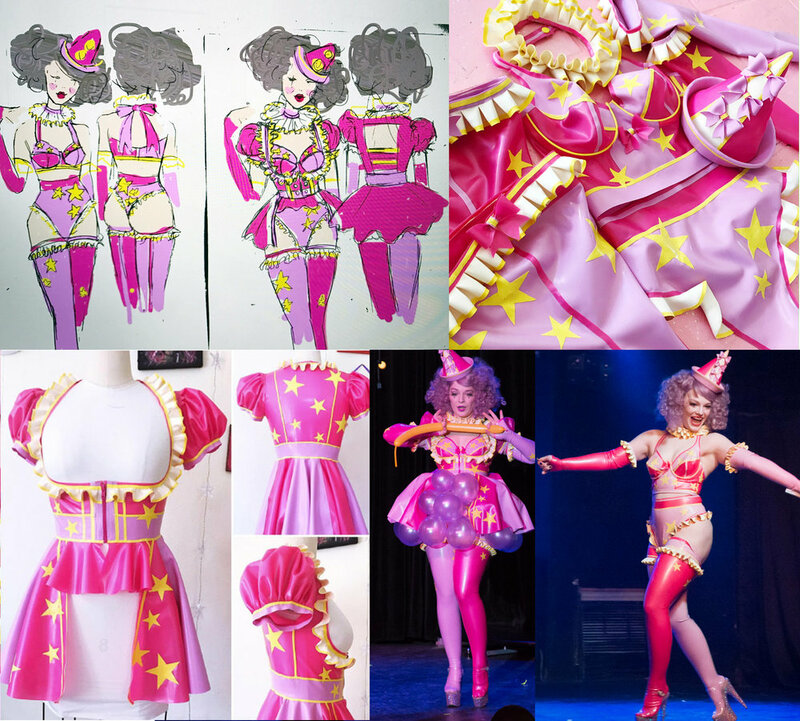 As a performer she understands the unique needs burlesque and aerials require in a costume, meaning not only will your costume look great, it will function the way you need it to too. Her hands on experience in every step of the design process from concept, to pattern drafting, construction to trim, means she can take your ideas from a sketch to reality without having to compromise on fit or finish. Shoes are the icing on the cake. Miss O is an avid heel collector with an eye for detail. She can customize a wide variety of shoes to match your style and costuming needs. Beyond the basics, Miss O Kissed fetish wear and toys are custom made to meet your unique style. Clothing in latex and PVC, toys made with top quality leather or vegan alternatives. Burlesque fans are an investment. 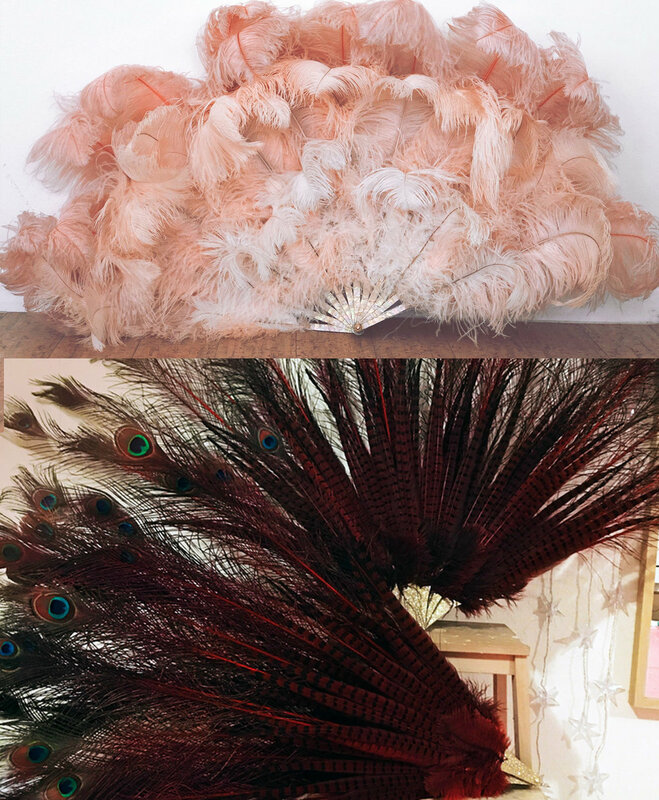 If you are looking for something extra special Miss O Kissed creates unique fans that stand out from the flock.